Owner and guide, Liz, grew up fishing in her home state of Pennsylvania. 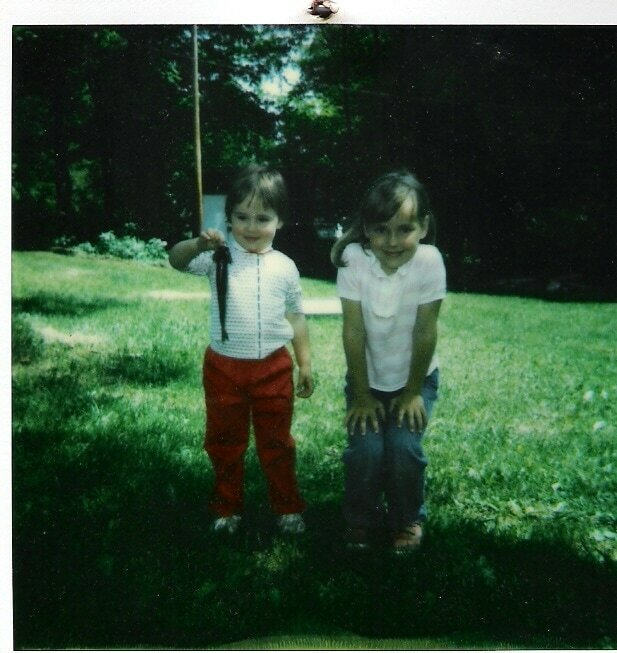 At an early age she learned how to catch trout with her Snoopy pole! Eventually Liz chased steelhead on Lake Erie tributaries with a fly. Fishing has had Liz traveling to many places in the Lower 48, Alaska, and Patagonia although her fly fishing bucket list remains long! Liz (right) with her sister. Liz in Montana (a few years later). Liz with her limit at 4 years old. For Liz, fishing is more than a passion or even an obsession. It is weaved into the very fabric of her life. She can’t think of a time in her life when fishing wasn’t a part of it in some way. Liz has her father to thank for initially taking her fishing and treating her like the “son he never had.” As she grew up she also fished with her younger sister. Admittedly to this day, her sister is still the better caster! 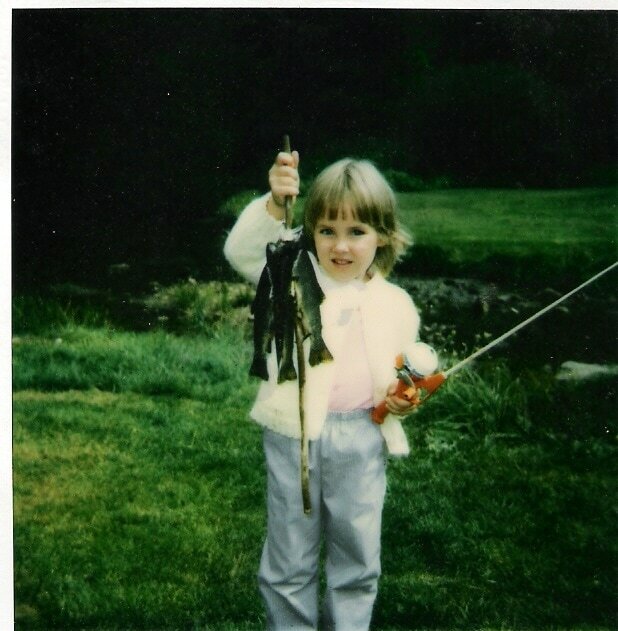 Furthermore, Liz wants to share her love of fishing, particularly fly fishing, with the next generation. She is passionate about sharing her knowledge, skills and tricks with other anglers. She wants to “pay it forward” from all of the people who have helped her. 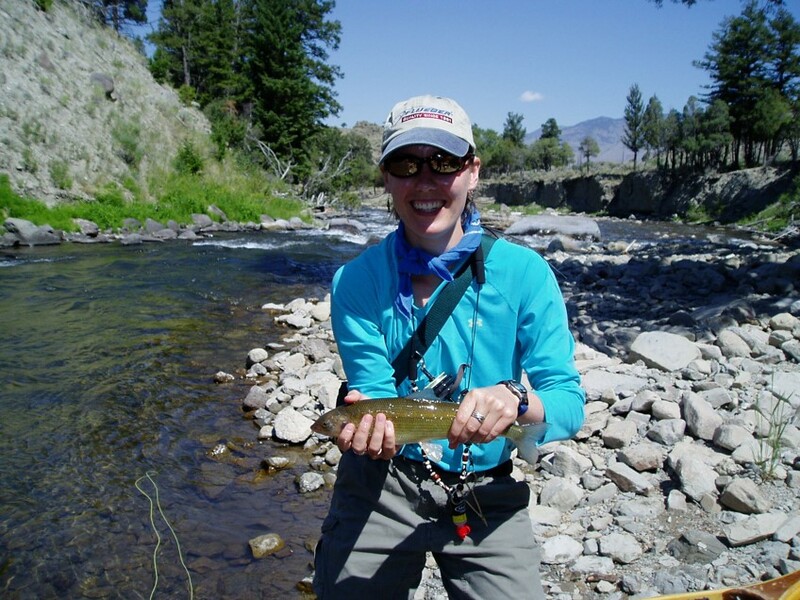 In 2007, Liz attended Hubbard’s Fly Fishing Guide School in Montana. 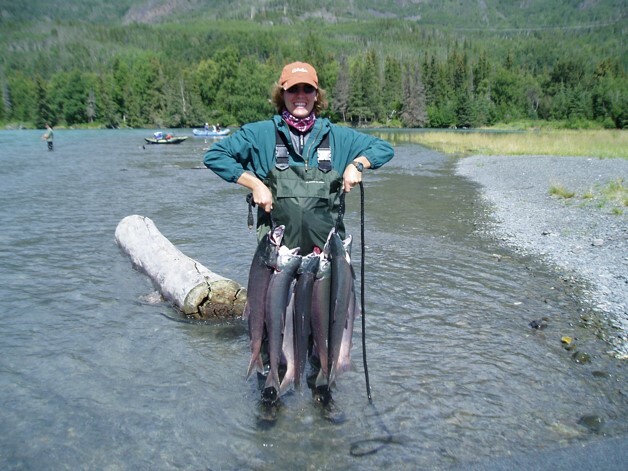 This prepared Liz to provide excellent service to her clients and expand her knowledge of fly fishing. For more information visit Hubbard’s Guide Academy. Liz is an active member of the Iowa Driftless Chapter of Trout Unlimited, Fly Fishers International, and the Hawkeye Fly Fishing Association. Liz received her certification as a Casting Instructor through Fly Fishers International in June of 2018! Liz fly fishing till last light. Float fishing on NE Iowa stream. 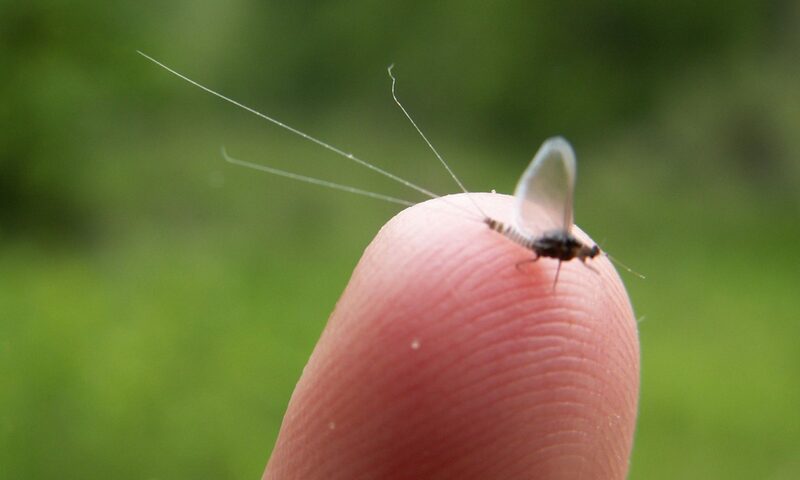 Lively Mayfly hatch with sun shining through!